If you run a food processing business that relies on heavy-duty cooling systems, you cannot afford to needless downtime. To avoid work outages, you should consider several factors before you choose an industrial refrigeration service. Here are some helpful tips from your refrigeration specialists at McNeil Industrial, to help you make the right choice. When you have cooling problems, you need things back in order as soon as possible. Delays not only hurt your production, but they can also result in spoilage of perishable products. The best refrigeration service providers have factory-trained refrigeration technicians. They understand how your cooling system works, and can find most problems quickly. Even the best cooling system services are of little value if you call them after hours, and they are closed. You may need emergency service when a major issue arises at any hour. Having a provider who is available around the clock not only provides peace of mind, but also gives you an assurance that you will not have to deal with equipment problems on your own. 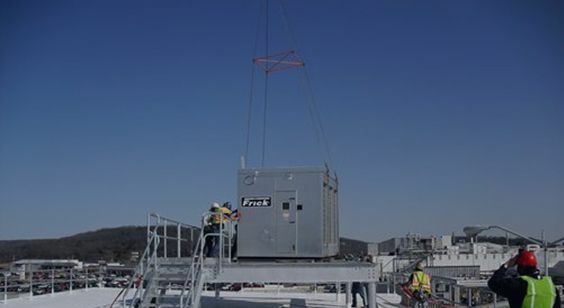 A trusted industrial refrigeration service can give you a wide-range of services. For example, your cooling system professionals offer expert design services. This is important for companies installing new refrigeration systems. You will also enjoy the benefits of compressor rebuilding. This is a vital service for a company that has older equipment, but is not yet ready to upgrade.